Lacey the alpaca was bottle fed since she was a baby. She was raised with these adorable cats. Her owner says it is possible that Lacey thinks she is a cat herself. 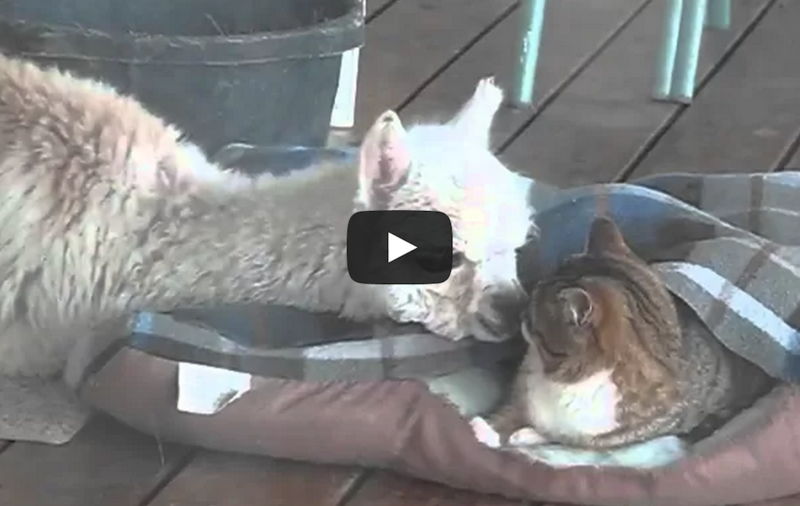 Watch as she cuddles with her furry friends and “blends in” with the group.